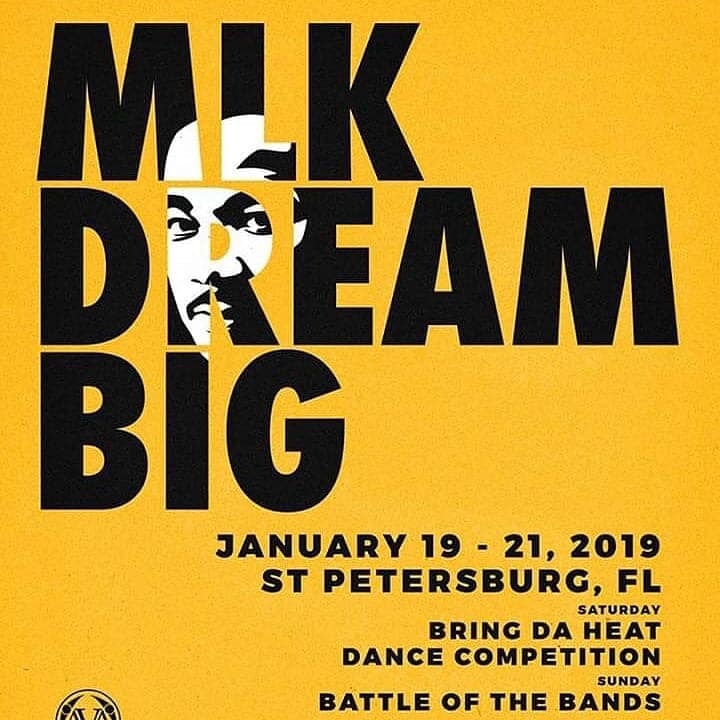 In its 34th year, St. Petersburg’s “MLK DREAM BIG” PARADE is the nation’s longest-running parade honoring Dr. Martin Luther King! This legendary parade is held right in the heart of beautiful downtown St. Petersburg, FL (aka Sunshine City). The parade route starts at 3rd street and 1st Ave south...then, ending at Tropicana Field. Join over 50,000 others as we celebrate such an impactful man...Dr. Martin Luther King Jr. In this year’s line up, we have college bands, high school bands, City Services, various community leaders, local business and more! Call AVA today For more information on sponsorships, volunteering or vendors.